Both my girls have birthdays this next week. I will have TWO teenagers by Friday - 13 and 14 year old girls! For some reason, my oldest turning 14 is much more difficult for me than it was when she turned 13. I think it's because she will be officially *gulp* in high school next year. However, I don't call her a high schooler or a freshman. I call her a 9th grader. Somehow it seems easier to accept that way. Don't analyze; just go with it. I try to give books for any gift-giving occasion, and for some reason, I've struggled to come up with the perfect books for them this year. I have been reading Anne of Green Gables and other books from this lovely $0.99 Kindle book recently, and thought Anne of Green Gables would be a nice choice. I also considered A Wrinkle In Time by Madeleine L'Engle, one of my childhood (and adulthood) favorites. Alas, my mom and sister called asking for ideas too, so I believe they are going to provide those. It was back to the drawing board for me! 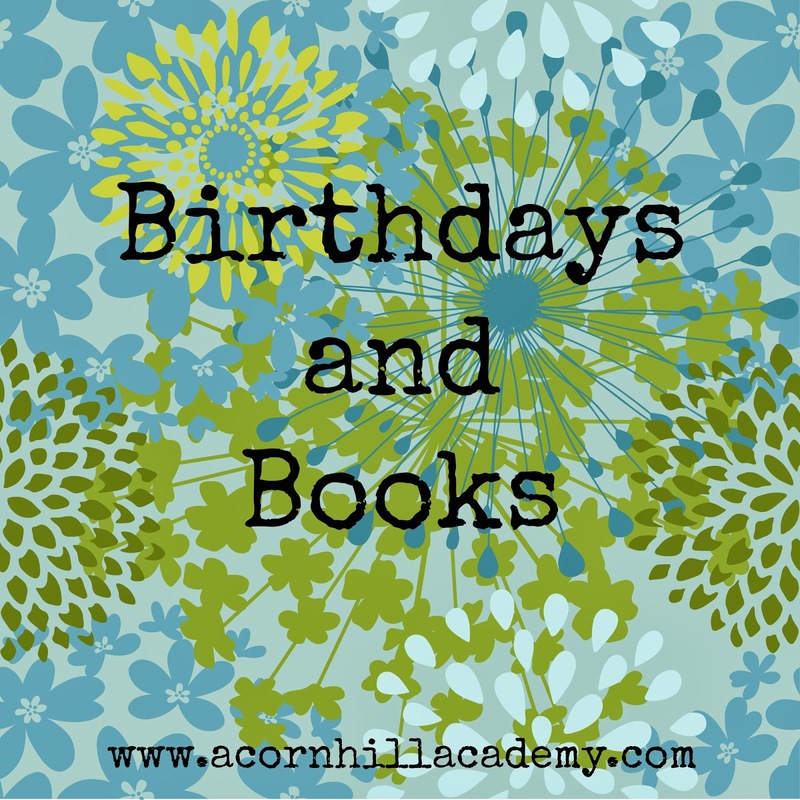 I asked homeschool friends and reader friends, and received some great suggestions. And then, thanks to all the help, I figured out what I believe to be the right books. For my oldest girlie, I plan to get the first three books in the Sisters Grimm series: The Fairy Tale Detectives, The Unusual Suspects, and The Problem Child. These are fun books, and she likes mysteries. I think she will enjoy the connections to the fairy tales we've read and loved. They might be twaddle, but they are fun twaddle, and I'm looking forward to sharing them with her. After all that deliberating, I changed my mind for my soon-to-be 14-year-old. Her favorite book to date is Howl's Moving Castle by Diana Wynne Jones. I didn't realize there are two books that continue the story, Castle in the Air and House of Many Ways. I decided to get those for her, and I know she will enjoy them. And so will I, if she will agree to let me borrow them when she's done. For my younger daughter, I've decided on Norton Juster's Phantom Tollbooth. I read this book for the first time a few years ago when my girls were too young for it. I liked it so much, I bought the audio book, which is excellent. I think she will enjoy the word play in this book. I'm also going to get another book by the same author titled Alberic the Wise and Other Journeys. I haven't read it yet, but I like Juster's writing and think she will too. The added bonus is that I can read it when she's done with it! What books have your teens enjoyed? I'd love to add to my list of books for them to read!